Sign up below to enroll in the program and receive your Star Rewards card by mail along with periodic entertainment guides with upcoming concerts, tournaments, special promotions and our biggest winners. 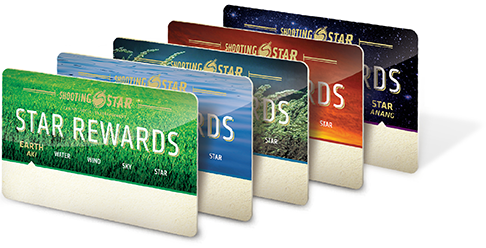 It’s a great way to stay in the know about everything happening at Shooting Star and receive benefits based on play. ARE YOU FINISHED WITH YOUR FORMS?